Being late to the CO2 party means China can learn from others’ mistakes – and if the market needs tweaks, it has no qualms about the odd intervention. The challenge is keeping participants honest – but anything that helps reduce China’s egregious emissions is worth a shot. 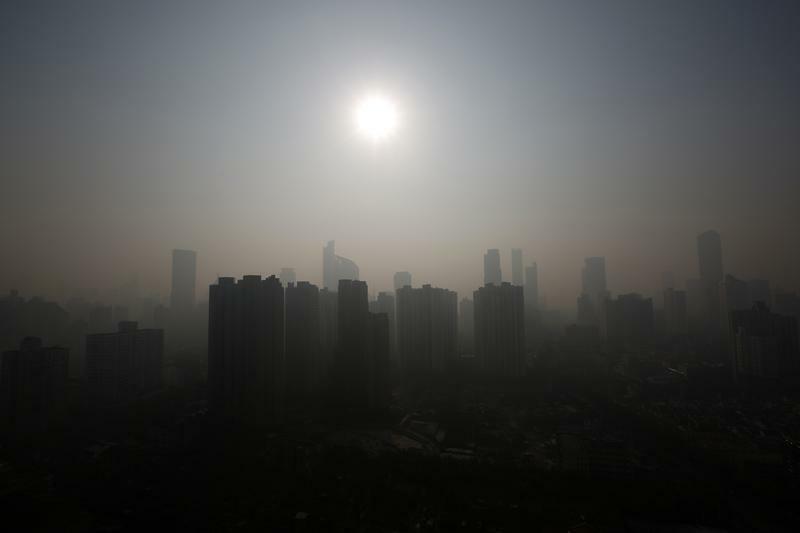 Buildings are seen through thick haze in downtown Shanghai November 7, 2013. China’s top climate official Xie Zhenhua said on Nov. 19 that Beijing and Shanghai will launch carbon emissions trading schemes next week. The southern city of Shenzhen launched China’s first such scheme in June. The regional carbon markets cap carbon dioxide (CO2) emissions from electricity generators and manufacturers, and force companies that emit more than their cap to buy permits in the market from companies with surplus allowances. The European Union is the world’s biggest market for carbon trading. Australia, New Zealand, and the U.S. state of California also run schemes. The International Environment Agency estimates the share of global emissions subject to carbon pricing policies will rise to around 33 percent by 2035 from about 8 percent last year.